Do more with less and create secure, connected health and care environments. How can you keep people, data and systems safe in a digital world? Visit our security page to find out how. Cisco® Digital Network Architecture (Cisco DNA) revolutionises how you design, build, and manage your network, with faster, more flexible deployment and simpler, centralised network management. Find out how we can help you get ready and ensure a smooth transition. Whether you have already installed a Wi-Fi solution or you’re just getting started, we can help you ensure your service is both reliable and beneficial. Our digital solutions empower health and care organisations to deliver ever more innovative patient care, streamline workflows for care teams, optimise clinical and business operations, enhance security and support compliance. 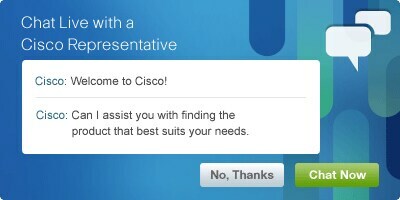 Start your digital journey with Cisco. Don’t miss out on the latest news – keep up to date with the Cisco UKI public sector blog. From GP surgery to Accident and Emergency, digital technology is improving service delivery, creating better working environments and supporting the delivery of patient care. How Cisco can help you can deliver a digital strategy that focuses on health and care transformation, from business planning to technical delivery. We believe that health and care organisations should take an architectural approach to developing a digital strategy - read on to find out how. Don't just dream. Cisco Capital Financing can make the right solution for your organisation a reality.